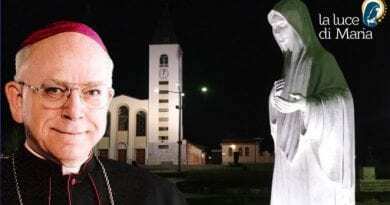 In a delightful conversation with Wayne Wieble last night, one of the original English speaking promoters of Our Lady’s messages, he said that parish records in Medjugorje indicate that over 7000 priests have received their vocation there (Archbishop Hoser cites a lesser number of 610 documented for sure, calling the Bosnian village “fertile grounds for religious vocations”.) I have met many of these priests in my travels, and they are often the most solid, balanced clergy I know in the Church. No, don’t be bullied, brothers and sisters. 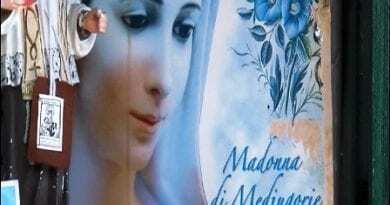 You are not unstable, emotional, gullible, or desperate if you feel a call to Medjugorje. If God is sending His mother there, don’t be ashamed to greet her. The Vatican is all but encouraging believers to do so. 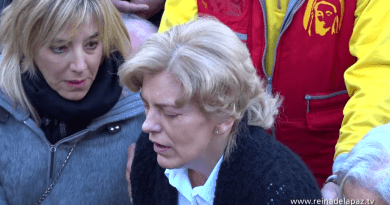 It’s hard to imagine, if Pope Francis or the Commission or Archbishop Hoser felt any concern that this was a demonic deception, that they would now permit “official church-organized pilgrimages” into the lion’s mouth. Mother calls. And by this, I mean Mother Church too.